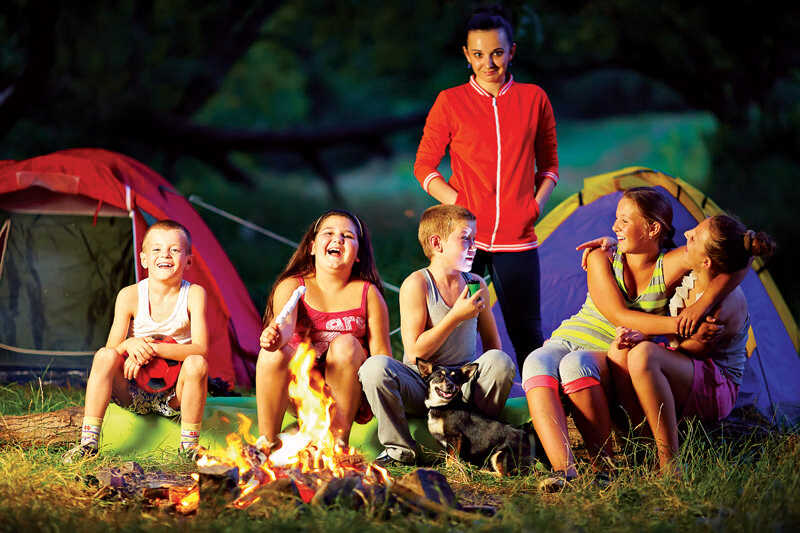 The best fire-building tips, snacks & stories to make your cabin evenings crackle for some fun around the campfire! By Andy Bennett The sun has set. The bikes and boats have been put away. The swimming towels are drying on the deck rail, and the grill’s been scrubbed clean. Night has fallen at the cabin. Sure, you could curl up on the couch and crack open a good book. You could pull out the board games and engage in a little friendly competition. You could even just sit with a cup of something warm and watch the stars. 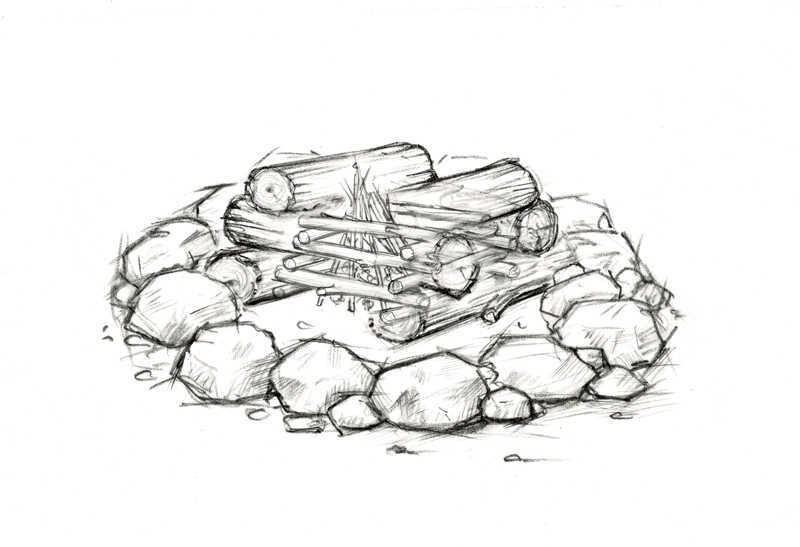 But when the weather’s warm and the skies are clear, the pull of the fire pit can prove too strong to resist. If you’re looking to make the most of that time around the roaring fire, look no further. 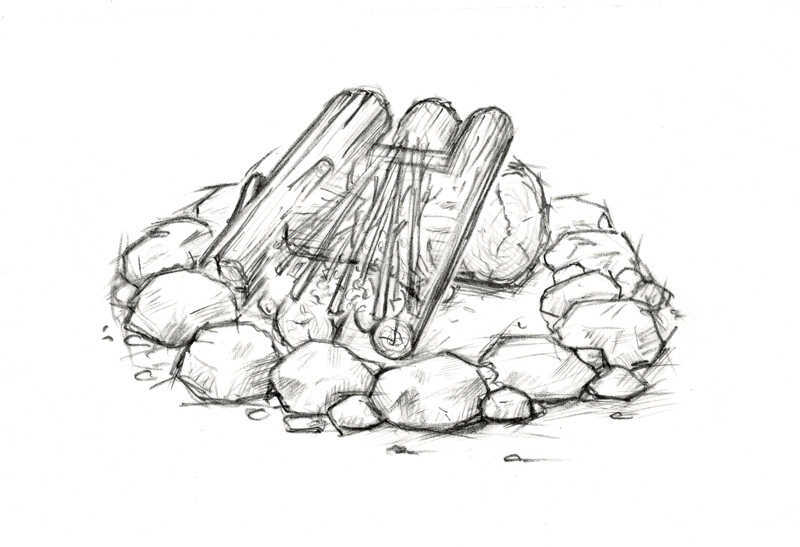 For a perfect campfire, it’s all about three things: The campfire (see “Fail-Proof Fire-Building Techniques"), the snacks ... and the ghost stories. 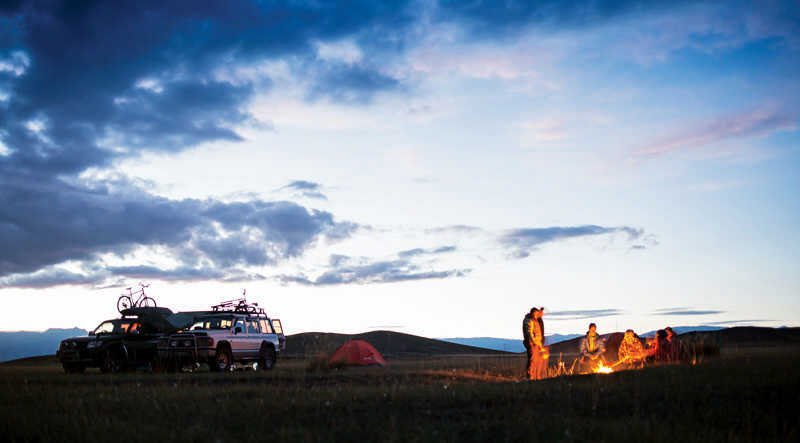 It’s a campfire classic you just can’t beat. We’re not suggesting you replace that chocolate and marshmallow masterpiece with these delicious variations. But, once you try them, you may not want to light a fire without them. The world of chocolate doesn’t end at Hershey bars. Try swapping that classic out for a square of Caramello or (our favorite) a peanut butter cup and see your s’more in a whole new, delectable way. Best of both dessert worlds. The only thing that can give a s’more a run for its money at the cabin is fresh strawberry shortcake. But who said you have to choose? Ditch the graham crackers and sub in shortcake. While the ‘mallow roasts slice up some fresh strawberries and slather on a schmear of Nutella (a delicious cocoa/hazelnut spread). As long as we’re deconstructing things here, let’s ditch everything but the stackable concept. Stick a slice of fresh mozzarella on a stick and roast until it’s nice and gooey. Then slide it between two crackers (we like Triscuit or Ritz) with a slice of fresh tomato and a fresh basil leaf. Trust us. Now then, are you settled all comfy into your camp chair? 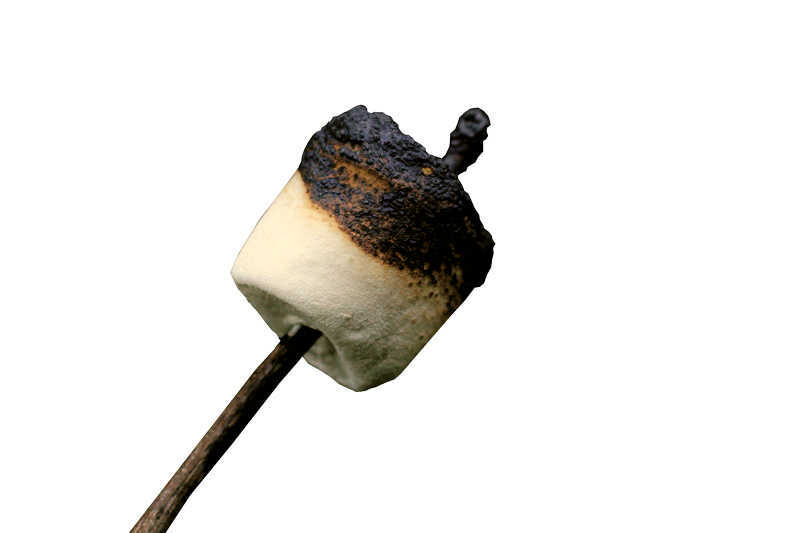 That s’more hitting the spot? Good. Because it’s time to tell ghost stories. 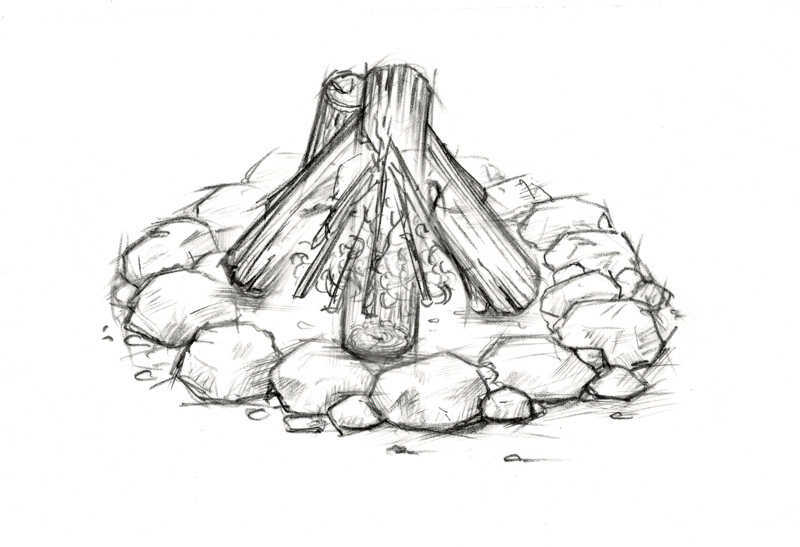 But, if we’re really looking to make this campfire unique, let’s skip the tales we’ve all heard told a hundred times. Bye-bye guy with a hook for a hand. See you later, babysitter with the call coming from inside the house. Instead, let’s take a look at what makes a story well-told and arm you with tips, tricks and prompts to turn you into the terrifying bard of the bonfire. One of the things that makes a scary story truly terrifying is setting it in the spot where you are. Don’t make it about an abandoned mansion in England. 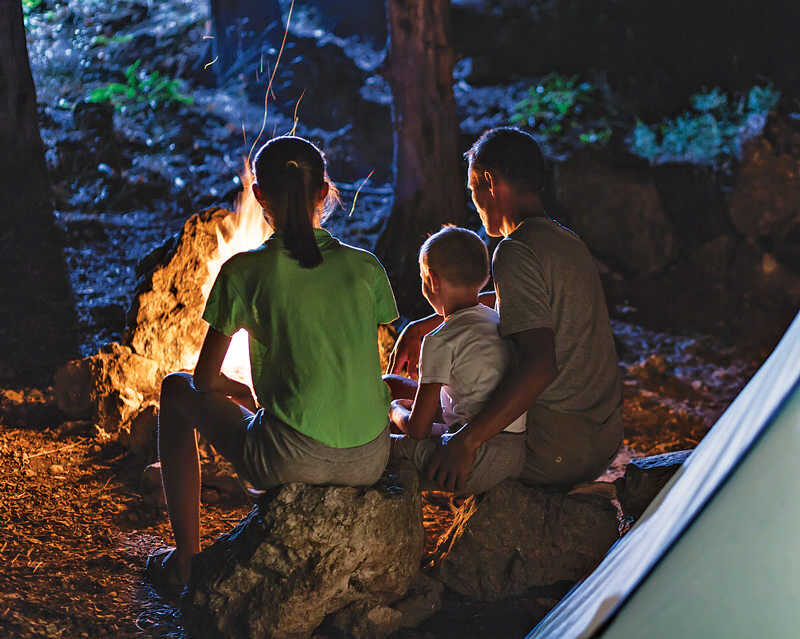 Make it about the woods around your campfire, the lake lapping against your shoreline, or your very own cabin. Here are two phrases that will add some gravitas and dread to any ghost story: “I don’t believe in this stuff, but ...” and “Look, I shouldn’t even be telling you this, but you need to know ...” These lines make it seem like you’re not enjoying this story. Like you’re not out to scare them but to warn them. It lends you an air of weary credibility you can exploit for maximum scares and fun. Start your ghost story with either of these beauts, and you’ll have a hushed, rapt audience eating out of your hand. There’s an old adage that’s especially true in the world of scary stories: Less is more. Keep the details to a minimum, making the facts vague and slippery. The less detail you give, the more your listeners will pin their own experiences onto it. The less specific, the more universal your ghost story becomes. Never know the exact year. Never know exactly what happened. It should have an air of a warning passed from person to person. It will raise the creep factor and give you more room for improvisation. Give those ghouls a goal. It’s one of the unbreakable rules of storytelling – your characters have to want something. Actors, writers and directors call it motivation. If your ghost is haunting for a reason, if your ghost has unfinished business, it will give your story that little extra something. There’s nothing new around the campfire. The ghost stories you know and love all fit into a few genres, and you’d do well to base yours around one of these classic set-ups. The gold standard where a ghost haunts a specific location trying to set right a wrong and tie up unfinished business. Tone it down for the little ones by making the ghost an animal from the woods. Spook it up for the teens and neighbors by having it be someone who left this mortal coil under mysterious, unsolved circumstances. This starts out like a classic haunting but conceals a major twist – there is no ghost, just a person trying to make people think there is. Whether motivated by greed, revenge or a love of pranks, the person can’t keep up the charade forever, and the big reveal is where the story gets really fun. This one is less about scares and more about sentimentality. A lost loved one comes back with a message or to rescue someone from a fate worse than death. This is good genre to use on the little ones; it gives the fun of a supernatural yarn without the boo-factor. Save this one for the older audiences. In this version it’s not a ghost but a monster on the loose. Whether that’s a crazed killer, an escaped prisoner or a science experiment gone terribly wrong is up to you, but taking it out of the realm of the supernatural and into the real world can add an extra kick of fear that’s too much for the little ones. Andy Bennett is a freelance writer from Duluth, Minn., who loves telling scary stories but watches horror movies with a blanket over his head.